Chinese player Bingyu Chang outclassed Indian player Mehul Saini in the straight set of frames 3-nil. 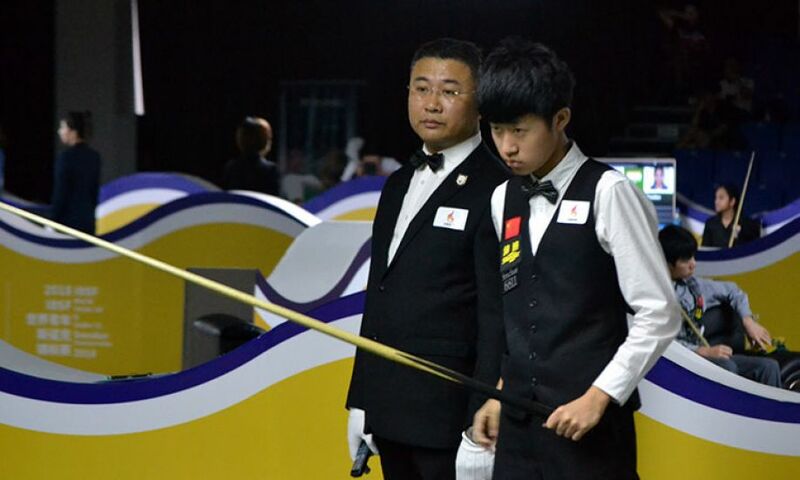 Bingyu was at his best after some initial turbulence but managed to secure first frame with a break of 51. Even in second frame, two small breaks helped him to take 2-0 lead. After having that much advantage, he went freely in third frame and recorded the first century of the tournament by scoring break of 103 and won the match. Austrian player Florian Nüβle was on fire and scored breaks of 92 and 64 to win his match 3-nil against Mohammad Babaei of Iran. Florian restricted him on single digit scoring in last two frames. Irish player Noel Landers conceded against Peifan Lei of China. Noel scored 26 points in first frame but in second and third he scoring was bad. Disappointed with his own performance, he conceded in the third frame on the score of 41-7.